Fantastic turn out for Spring in the Season of Love! We’re pleased to inform that our musical performance Spring in the Season of Love on 6 April, 7pm at the Brunei Gallery Lecture Theatre, SOAS was a great success! The lecture theatre was packed out with an enthusiastic audience who enjoyed beautiful music by Meeta Pandit, Rekesh Chauhan, Pandit Sanju Sahai, Mitel Purohit, Darshana Vora and Dipti Vyas. 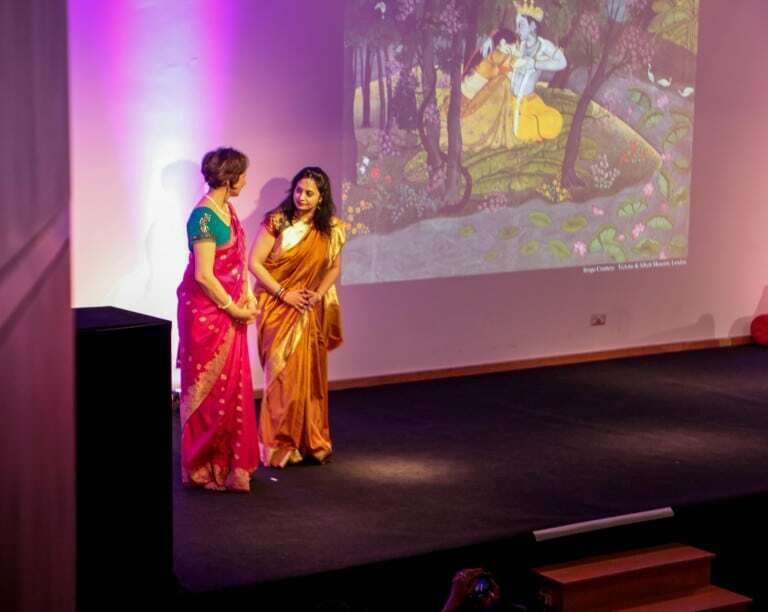 Dr Vayu Naidu offered engaging storytelling inspired by Indic folk and epic literatures and stunning Pahari and Rajasthani miniature paintings were displayed. The event was a special commission by the Bagri Foundation in partnership with The Prince’s School of Traditional Arts.